Worrying about incontinence at School may affect an incontinent teenager or child’s progress more heavily than previously thought. A recent study called the “Left Out and Left Behind Report” is the first UK paper shedding light on children’s experiences. The paper explored the impact of a secondary School environment on young people with continence difficulties. Katie Whale, Helen Cramer and Carol Joinson interviewed 20 young people aged 11-19 years with bowel and bladder problems. The interviews focused on key problematic areas including social consequences, interrupted learning and intimate actions in public spaces. Young people in the study reported experiencing severe anxiety and trepidation in disclosing their continence problems to their teachers and peers. The perceived stigma of continence problems caused participants to worry about others finding out. Individuals with incontinence all admitted to worrying they were seen as “different”. It is estimated that approximately 11% of children and young people in the UK who are aged 5-19 years old have bladder or bowel incontinence. 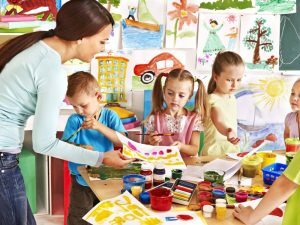 An increasing number of children with complex continence problems are attending mainstream School. It is therefore vital to identify the main issues surrounding incontinence in Schools and how we can improve child’s experiences. Why does the School Setting Discourage an Incontinent Youth? 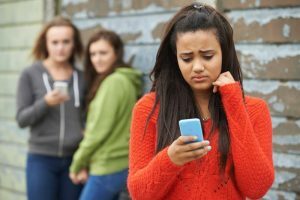 Teenagers and children in School are often at a higher risk of peer conflict and bullying than when they are at home. Young people with chronic illnesses are frequently more socially isolated than their peers. There is a huge amount of pressure for youths and teenagers with incontinence to feel as though they fit in, which makes struggling with incontinence increasingly difficult. In the study by Whale, Cramer and Joinson for example, participants said they used various techniques to conceal their problem so they could appear “normal.” Just like an individual who is self-conscious about something that is visible, incontinence can make a person feel out of place and insecure. An individual’s learning can even be affected by incontinence, as youths can sit in classrooms worrying about their next accident. The first problem causing this is that many young people refuse to tell teachers about the problem. 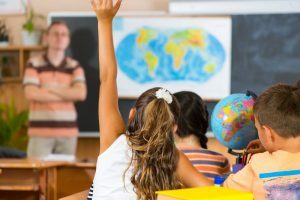 The majority of participants in the “Left Behind and Left Out” study admitted that they had not told teachers about their problem. This leaves teachers clueless on how to support young people experiencing incontinence at School. Previous studies have shown that children with chronic illnesses feel increased teacher understanding would benefit their performance in School. The second huge problem in Schools is their policies on toilet access. Parents of pupils at Westlands School in Kent were recently left outraged after being told their children could only go to the toilet if they had a note from a Doctor. 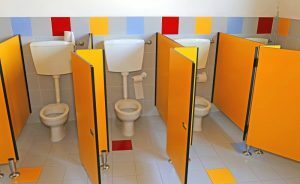 A father of a 12-year-old boy who attended the School was horrified when his son told him he wasn’t allowed to go to the toilet. He asserted, “Children are embarrassed to ask in front of their friends, so the School will end up dealing with a lot of wee on the floor if they do not change this rule.” A spokeswoman for the charity for ERIC, the children’s bowel and bladder charity, said this rule was “totally wrong”. Unfortunately, Schools often forget that there will be children with problems that mean they will need to go to the toilet urgently. This rule can also cause dehydration problems, which can further irritate the bladder and affect their ability to achieve. Fair toilet access is not the only factor that is necessary for successful continence care. Exceptional management includes structured regimes of toileting, the appropriate facilities and strict attention to fluid intake. It is important that children have the facilities needed to clean themselves if they have an accident. Toilets should also be designed in order to ensure they provide discretion, with working locks and suitable doors. It is evident that greater knowledge of what young people with incontinence experience is needed to improve support for this group. Addressing the challenges faced by young people with incontinence could help to remove the barriers to successful self-management. This requires parents of incontinent children to contact the School and provide feedback on how their child is coping. Since the passing of the Children and Families Act in 2014, education settings have a duty to support children with bowel and bladder problems. Increased support in School is needed to enable young people with continence issues to achieve their academic potential. This requires nurses to be educated on the problems surrounding incontinence, and for teachers to be aware of how to discretely help children manage incontinence. Previous campaigns from parents have put forward the idea that children should be given a “toilet card” that allows them to the toilet when they need to. However, having a toilet card may be embarrassing to some children. In Schools where the toilets are locked, these pupils have to get a key before they can use the facilities. This may cause problems for children with urge and overflow incontinence, who need immediate toilet access. It may, therefore, be easier to allow to children to have full toilet access. If your child is very young or struggles to take care of themselves, you can ask teachers to ensure they have regularly monitored fluid intake. Toileting regimes are also useful for incontinent youths, as well as regular visits to the toilet after meals for children with faecal incontinence. Provide a private place where clothes, wipes etc can be left and the youth can change. Remember that in addition to assistance, youths with incontinence require dignity and respect. Be aware of any potential bullying. This can drastically reduce the worries surrounding incontinence at School. Contact parents if a youth has continence problem symptoms. If teachers know what to look out for in someone with bowel or bladder problems, they can work with the parents to help the youth. Have a School protocol in place for any accidents. Being proactive can help staff and the pupil feel less worried about accidents. Schools should also have a prepared continence policy document for teachers to refer to when needed. ERIC’s Right to Go campaign aims to help Schools and education settings support young people with continence problems. The website offers free resources and guidance for Schools on the best practice for managing continence care.